Daily active users: 160 million or 56% of monthly active people return every day in the Middle East and Africa. Monthly active users: 285 million people access Facebook every month in the MEA region. Egypt: 37 million people access Facebook every month with over 22 million or 59% of monthly active people return every day. Saudi Arabia: 17 million people access Facebook every month with over 9.8 million or 58% of monthly active people return every day. UAE: 83 million people access Facebook every month with over 5.9 million or 71% of monthly active people return every day. South Africa: 18 million people access Facebook every month with over 10 million or 56% of monthly active people return every day. Kenya: 7.8 million people access Facebook every month with over 4 million or 51% of monthly active people return every day. Nigeria: 23 million people access Facebook every month with over 11 million or 48% of monthly active people return every day. 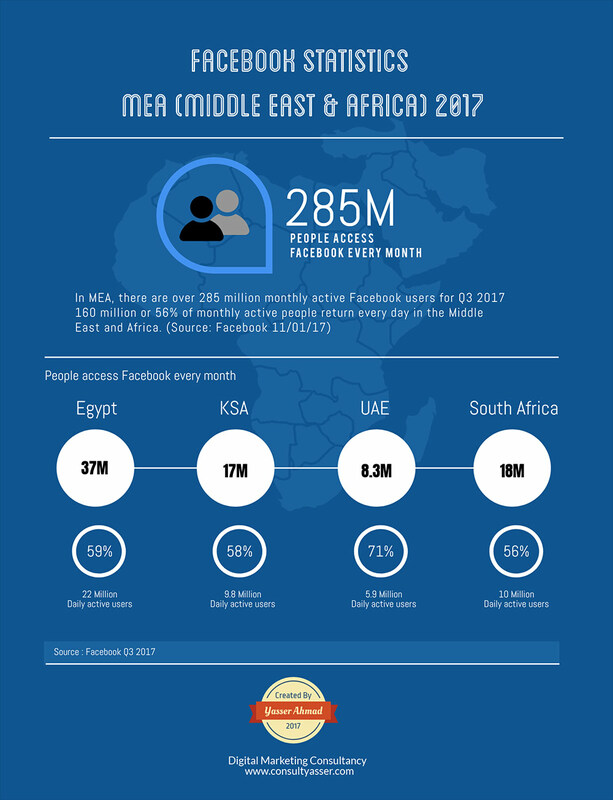 According to the reports, Facebook continues to grow in the MEA region. Egypt still represents the highest daily rate for users with over 22 million users a month. UAE has the highest rate of MEA for daily active users with 71%. Although, the latest researchers from Northwestern University of Qatar shows that WhatsApp tops the list of social media used by nationals across the Middle East with two-thirds of nationals using it, compared to a marginally lower rate for Facebook and only one-half using YouTube. According to the study, Facebook penetration declined by 20 percentage points since 2013 (94% in 2013 to 74% in 2017), with significant drops in both Saudi Arabia. 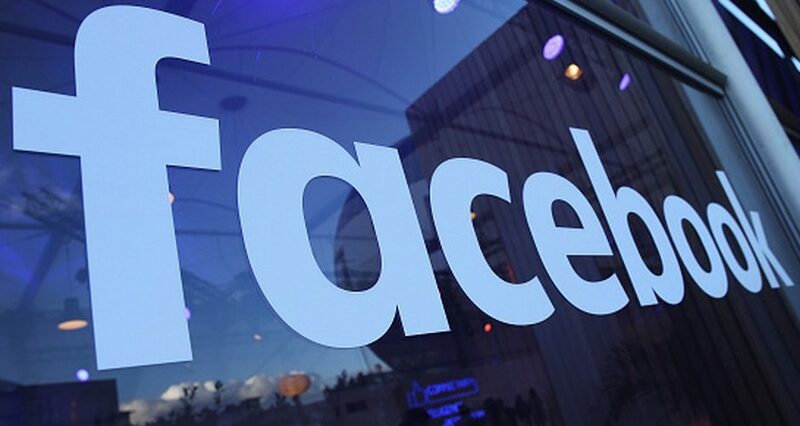 The study also found that Facebook usage increased significantly in Egypt. Global monthly active users: 2.07 billion as of September 2017, an increase of 16% year-over-year. Instagram also hit a big milestone this quarter, now with 500 million daily actives. Daily active users in USA & Canada: 185 million as of September 2017. Daily active users in Europe: 274 million as of September 2017. Daily active users in Asia: 476 million as of September 2017. Cash and cash equivalents and marketable securities: $38.29 billion at the end of the third quarter of 2017. Statistically, Facebook is becoming even bigger. According to The Social Skinny report, 50% of 18-24 year-old go on Facebook when they wake up! What does this mean? Facebook is becoming a big part of the younger generation lives and potentially, so is the content you post on it. How To Shift Your Marketing Team to Data Science and Marketing Technology?